I like to study; and, have been studying my whole life. So, that's part of my faith. I was reading recently in the book our master gave us when we took the refuges. After taking the refuges, we also vow that we do not respect or practice what is taught by Devas, Spirits, or Demons. We don't respect a practice externalist faiths or heterodox beliefs. We do not respect or associate with evil friends and wicked crowds. It's somewhat of a harsh translation from Vietnamese. I looked it up already and it said Devas are divine beings, some sites mention them as gods. The Lotus Sutra mentions them as the same level as human beings who come to hear The Dhamma from The Buddha while I haven't yet understood the role of Devas in the Pali suttas yet. Are you familiar with the refuge in Zen Vietnamese Buddhism about not practicing what is taught by the Devas? Do Devas teach anything and if they do, what teachings do they give that contradict the Dhamma of The Buddha himself? I'm not just a meditator but I go all out so this will be and is my life not something I study externally. Do you have some respectful insight on how Devas can hinder our practice in worship and meditation of the Dhamma and our spiritual growth as Buddhists? @Carlita. Devas are at various stages of development as we are. Devas live a very long time but do not face the same challenges as we do. Only in the Saha world can liberation be gained. As the Devas reside in Devachan they can only help us in limited ways. It is not so much that they contradict the Dhamma but on their own side is incomplete teaching. Here is another way to look at it. When you take the Bodhisattva vows you vow to liberate all being in all realms. Including Devachan. I didn't know you can ask Devas for help. Though, since their teachings are limited compared to The Buddha's I'd assume that is why the emphasis is for us to not look to the Devas (spirits and demons) for instructions only The Buddha Dhamma. I haven't heard of Devachan. I asked master whether the realms meant the different stages of our mind through the process of samara to end rebirth or are their actual external places. I couldn't get a clear translated answer. There are a lot of realms. Here is what I read about the Realms on Accesstoinsight. That, and I know I help people here through service and to the monks, but how do you help the Devas? How does that work out? Just be the best person you can be. I'm afraid I don't subscribe to the existence of ephemeral, intangible 'beings' but then, I'm a born cynic. I deal with things as they is. It's my lot to do so. Ain't nobody or nuthin' else gonna pull the strings for me. ... but how do you help the Devas? How does that work out? The Buddhas in the Purelands (Bless their Twinkling) will never tweet us BUT they will aid and protect serious practitioners and devotees. I always find it interesting to contemplate the boundaries of mental health and religious practice. What a Vietnamese villager calls an encounter with a demon voice might by a western psychiatrist be called a short psychotic break with auditory hallucinations. So certainly from that viewpoint, one would be wise not to associate with or try to learn from Devas, Spirits or Demons. The result of trying to learn from them would be to create internally a kind of attitude of looking for "reflected wisdom", fragments of teaching which you recognise as wise but which may well be taken from something you have heard in the past which now come from the voices of what you think are Devas. The most one would get would be a kind of distorted dharma where your creative mind would be filling in many of the blanks to create something coherent. There is a difficult problem associated with encountering 'external' entities such as Devas, Spirits and Demons, from a spiritual standpoint. Many well known masters have advocated that it is all in our minds... Bhodhidharma for example once said, "if you can know the mind, all else is included". So do Devas, Spirits and Demons exist, other than as fragments of our minds? My experience is it is generally healthier to assume that such entities are a manifestation of our own mind and state, and to detach and let these things come and go, just like manifestations in meditation can do. He's beautiful. I looked up to find Bodhisattva who represent love, kindness, piety (well, not quite), and virtue. I wonder if their is a Bodhisattva who represents creativity. I shall look that up. We help the Devas by generating the Bodichitta to help the beings of the zenith which is one of the six directions. May all Devas know freedom and happiness. @lobster. The Bodhisattvas have no disdain for those who need help on the path. No matter at what point we are. So why speak of serious practitioners and devotees? You are quite right everyone is helped but the unheedful/ignorant/unmindful/dabblers do not always recognise or understand what is useful/helpful. That is why. Hope that makes sense.
. . . as we dabblers say . . .
Just imagine being trapped not in your own mind but someone else's. The Divas deserve our compassion and understanding but what they represent in our minds can take their place once they are free. Just my opinion there but the Divas are one of the six recollections. Just imagine being trapped not in your own mind but someone else's. I can't even begin to think of how confusing or distressing that might be. To what point? It controlling you, or you controlling it - yet still trapped? Ugh. I have never understood why so many Buddhists will deny the existence of God so vehemently, and then believe in all these other "spirits". I think there's a lot of confusion between actual Buddhism and culture, and the two should not mix. If you look at many of the strands of Buddhism, from Tibetan to Chinese Mahayana to Thai Forest, they do seem to have absorbed a lot of tendencies from local culture. But I think people are less superstitious now than say a thousand years ago, and there is less of a tendency to use explanations such as "spirits". 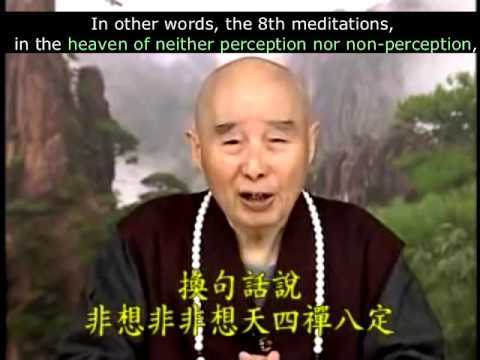 Looking at things like the Athakavagga, the Book of Eights which we are studying, early Buddhism seems to be very rational, very clear without a lot of unexplained or strange things in it. The mere fact that the Buddha said to test the teachings and not to waste time on things that are beyond explanation is a good indicator of how practical and grounded the teachings were. I do think it's healthier to say, it's all in the mind. But even a hundred years ago Carl Jung was talking about the collective unconscious, and today many New Age believers talk about cosmic and astral spaces. The idea of external spirits is hard to eliminate... after all, on one level all of us who live are separate bundles of aggregates. But look beyond that and we all are expressions of buddhanature, and perhaps on an ultimate level we are all one. It's pretty hard to remove culture entirely. I do agree with the general sentiment of your post, @vinlyn. But even the core of Buddhism was influenced by the culture of the time. But Buddhists should be investigating these attachments to culture just like everything else, but it's easy to see that looking into other countries from afar. When you are living within the culture, it's often hard to see what is culture and to separate it out. Our attachments to our "tribe" is one of the biggest ones we have, so we are quick to condemn others' without even being able to see our own. For me, being a Tibetan practitioner, it has been explained by several teachers/monks that references aren't meant to be seen as actual, literal beings but rather manifestations of parts of our minds and ways to visualize them and find ways to work with them. The same has been explained as the various realms etc. It's not for everyone, but some people are very visual learners and not having a visual makes things very difficult. Myself, I am someone who learns best by being able to move and do, I need practical application to understand alot of things. Others can understand just by reading or hearing. Others need a visual, so I don't think that's harmful, as long as they understand that that is what it is. Visualization like that, for me, is more often a distraction than a help in understanding. Bravo, @karasti, yes; I have always considered 'Beings' like Tara and Chenrezig to be extensions and manifestations of 'perfect qualities' we ourselves would like to, or seek to, develop. Similarly, the Realms in the Afterlife, are representations of mental constructs we find ourselves in, on a daily basis. Sometimes, we may well hit the jackpot and 'reside' in all 6! Hence the instructions of Watching the Mind. At the moment of Death, what 'Frame of Mind' will YOU be in....? I agree with @karasti in regards to gods in general but as for a deity that started the chain of causation, it just doesn't fit with the dharma. As I understand it anyways. These hindrances are also my greatest gains from Pure Land. With all due respect Zen has always felt picky to me. That is why I respond to Pure Land so well. I recently ordered a book for "foolish" practioners and will be getting it tomorrow. So excited. @kannon. Many past and present Chan masters were and are now also practitioners of Pure Land. Don't be afraid to be guided by the Bodhisattvas nor to accept them as real when you see them. Particularly Kuan Shih Yin Pusa. I don't have any insight on devas hindering practice other the obvious that that seems to be Mara's whole purpose in life. Then there's the commentarial background story of the Metta Sutta, where the Buddha taught metta to some monks as a means to placate some irritated devas who were bugging the monks while on retreat. Regardless of one's faith in the validity of devas, I think devas should, at least as an intellectual exercise, be examined as allegory to distill the practical advice they offer. Then, following that, you're good either way. Apart from your desire to deepen your understanding of this aspect of the Dhamma, my read on the vow is that it comes down to a commitment to avoid "heterodox beliefs," whatever their source. Google defines heterodox as an adjective meaning "not conforming with accepted or orthodox standards or beliefs." So for devas in regard to the vow, I surmise the point is a commitment to validate what's gleaned from say even a profound, metaphysical, meditative experience (your own or another's) against the Dhamma as taught through this school. I was talking with the Theravada Thai monks at my temple about some of this, and they were very clear about differentiating between Buddhism and "local" culture. Of course, they had a Thai spirit house in the backyard and admitted that they believed in "phi" (spirits). But, they didn't include all that as part of Buddhism. Interesting post, Karasti. I have seen so many Thai temples with graphic depictions of hells...and heavens, all sorts of spirits, and so on. I never really thought of it as a teaching aid. However, when I have talked to some of my fairly well educated Thai friends, they seem to believe that heaven and hell are actually like that. What can I say. I do like your view of it. Heterodox beliefs refer to the 62 heterodox positions. These were ideas held to be not useful to understanding the Dharma/Dhamma. Or contrary to the way. That's interesting....What do you mean by "outside" the mind @grackle ? How can something be found "outside" the mind ? @karasti said:> For me, being a Tibetan practitioner, it has been explained by several teachers/monks that references aren't meant to be seen as actual, literal beings but rather manifestations of parts of our minds and ways to visualize them and find ways to work with them. Not the impression I got from being a Tibetan practitioner years ago - many people did think of them as actual, literal beings. Obviously some teachers tailor their presentation to a more secular western audience, and you see the same approach with teachings on rebirth. I think you will find that the teachings of most Buddhist schools active in the west have been designed for a western audience, to a greater or lesser extent. There is certainly a lot of cultural baggage in Buddhism, though separating out the "essence" of Buddhadharma is not a straightforward matter IMO, particularly given the great diversity and plurality in Buddhism. One school's baggage might be central to the teachings of another school. Also some of the "baggage" results from Buddhism taking on aspects of other traditions like Taoism and Bon. It's a rather messy picture! I haven't yet understood the role of Devas in the Pali suttas yet. The most famous Deva of the Pali suttas has got to be Mara. 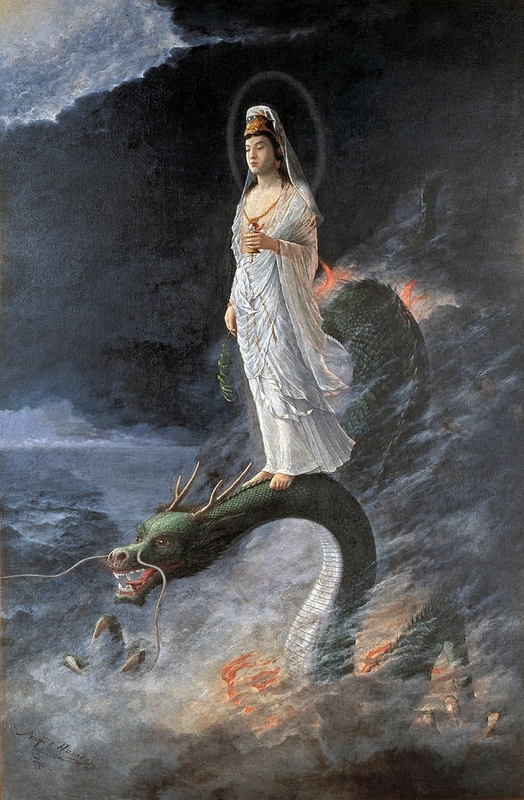 The deva of the sensuous realm, who tries to prevent Buddha from attaining enlightenment. Don't follow Mara. @SpinyNorman I am sure that is true as well. My teacher spends 6 months in the US, in a city with a large Tibetan population in the US, so he serves them, as well as 6 months in Tibet. So he's not removed from the Tibetan culture and I have not seen that he teaches differently when more Tibetans are present than otherwise. But he's younger as well which perhaps contributes. Not claiming it is representative of all of Tibetan Buddhism, by any means. Just my own experience. "There are, bhikkhus, some recluses and brahmins, who are fortuitous originationists, and who on two grounds proclaim the self and the world to originate fortuitously. And owing to what, with reference to what, do these honorable recluses and brahmins proclaim their views? Oh dear Buddha. He lost me at "There are, bikkhus..."
Born, raised, and bred a westerner and proud of it, I can give you an insight on that. In Buddhism it's all about the mind. In god religions-of the west- (GRW) it's all about the spirit. The mind and body is secondary. In Buddhism it's inside out. In GRW its outside in. So think of referring to a spirit or diva in a GRW point of view. You would literally have to imagine him or her outside of yourself-meaning your mind your spirit-to which he or she intervenes on your behalf without being equal and/or have the same abilities as you (say knowing the Dhamma and listening to The Buddha). Inside out religions put emphasis on self-growth and compassion etc is the result. Outside in religions depend on an external source to come into the person's spirit/soul so that compassion etc can result. A raised and even a convert who knows The Buddha's words are fact will understand that the God of the west cannot be separated from the mind. Once you separate it from the mind of the Dhamma, it no longer exists. So, one can believe in spirits, demons, and devas because they are aspects literal or not of the Dhamma and Dhamma the teachings (for lack of better words) that make up the mind. Where as God-West religions are purely external. You would literally have to separate your mind from reality, Dhamma, beings, and community (life) in order to believe in an external being and the beings of the Dhamma at the same time. I honestly don't think that's possible. Thank you. I don't know how structured the monks ask of the lay practitioners when it comes to heterodox beliefs. I've never heard it put that way but the master was serious about taking the vows for the rest of our lives. Very moving experience. Do you think devas, demons, and spirits literally exist. Don't write a paragraph. Just say yes or no. Once understood in this way, we can help, manifest and benefit. It is possible to experience Deva manifestations as 'real' in special states of mind. The Buddha did whilst starving himself. Bodhi Muhammad starting hearing Angels whilst starving. Bodhi Jesus too met the Devil whilst starving in the desert etc. Ha ha. I'm a writer. I cannot get my thoughts out in a yes or no answer. Give me some context and I'll keep it short. Speculation about the location of Deva's and other forms will save no one from the Hell Realms. You don't need fasting or asceticism. You need training and experience. No need to go further. You just answered my question. But I'm also interested in the phenomenon of hearing voices. A surprisingly substantial segment of the population hear voices sometimes, often of family members or repeating fragments of memory. But sometimes much more, to the voice which dictated A Course In Miracles. Now voice hearers are often mentally completely competent, unlike say schizophrenics who often have severe deficits. So it's not impossible that some of our prophets or those who claim deva manifestations in ancient Buddhist times were suffering from this. I do not understand. I dont like indirect comments. I didnt answer my own question or it would be appearant in a direct statement that I can learn from. You have confused me. Why the yes/no question? This site, I will be honest, is very rude. Its like picking my teeth trying to converse with some of you. Why did you ask if I believed in devas? I back tracked our convo. I have no clue where you going. Dialogue helps. @Carlita, regarding Devas/Celestial/God beings, they are still indulge in enjoyment of five desires. They still can fall into the hell, animal, hungry ghost, human, asura realms just like us. 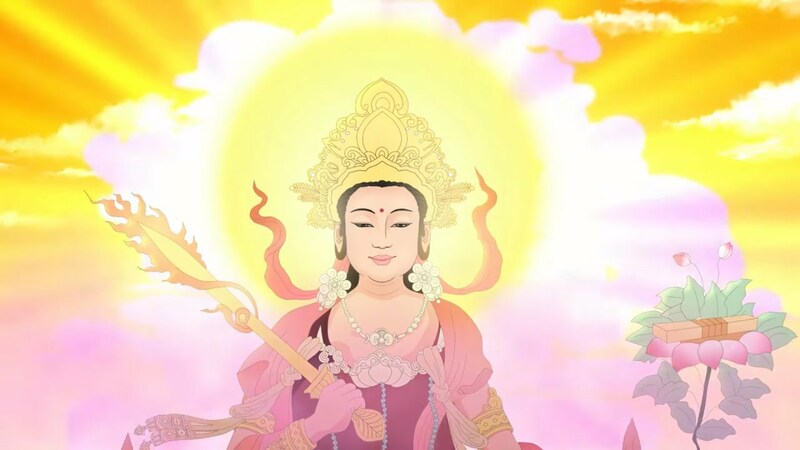 Some of the Devas/Celestial/God beings are also protectors of the Buddha Dharma. Not sure if this answer your question, but hope it helps answer part of it :-). Celestials Know 6 Paths, Why do They still Indulge in Enjoyments? Oof. No wonder there's some confusion. Those were my words not @Carlita's and were in reply to her original post. To clarify (not sure it's needed now), the back story I mentioned is a good example to answer your question. In the story a conflict arose between some devas and meditating monks. The devas felt the monks had overstayed their welcome. Trying to get them to leave, they harassed the monks. The monks took this problem to the Buddha, who taught them metta as a means of placating the irritated devas. Taking his advice, the monks returned and developed the meditation, bathing the devas in lovingkindness. The metta radiating from the monks soothed the devas and they stopped harassing the monks. The devas in this story may be real or may personify agitated states of mind. Either way, it offers the practical advice of developing metta to counter agitation. I just got a book today. "Just As You Are: Buddhism For Foolish Beings"
It is a Pure Land book. I have just started reading but much of the content is related to this discussion. Whether or not Buddhism is a religion, whether or not it has room for God(s), whether or not spirits are real, whether or not any of it matters, or helps, at all. Whatever helps us to love ourselves and love others is enough. Is Buddhism just like the others? If we use it as an excuse to feel like we are on a higher, better, more right path, then yes it is indeed. If we use it to generate love and peace, then yes it is indeed also. Buddhism isn't just an ontological debate....it is all around the world. For good and bad. What does it matter who is right and who is wrong? As long as we are secure in our own practices, that is enough.